Lineup for OHEL 5770 Announced on JM in the AM!! Featuring an all new format of integrated live performances by all performers and original film. 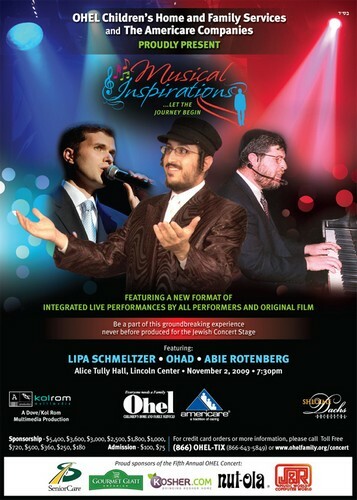 Be a part of this groundbreaking experience never before produced for the Jewish music concert stage.